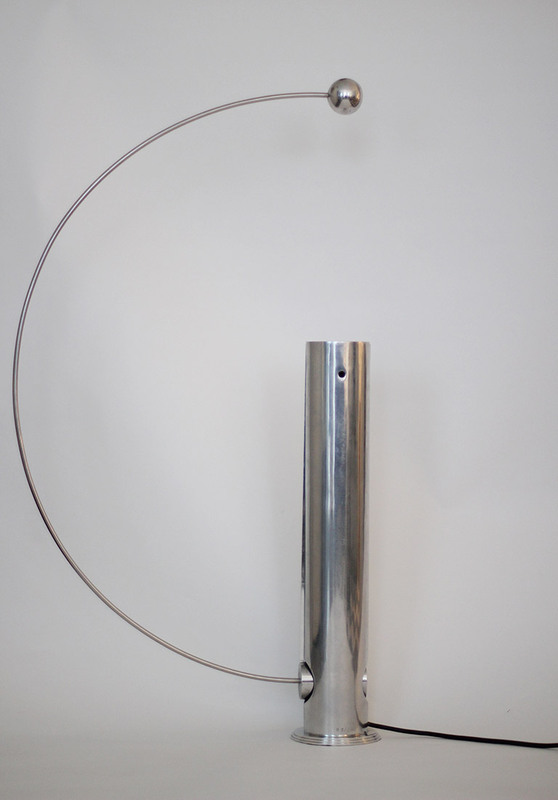 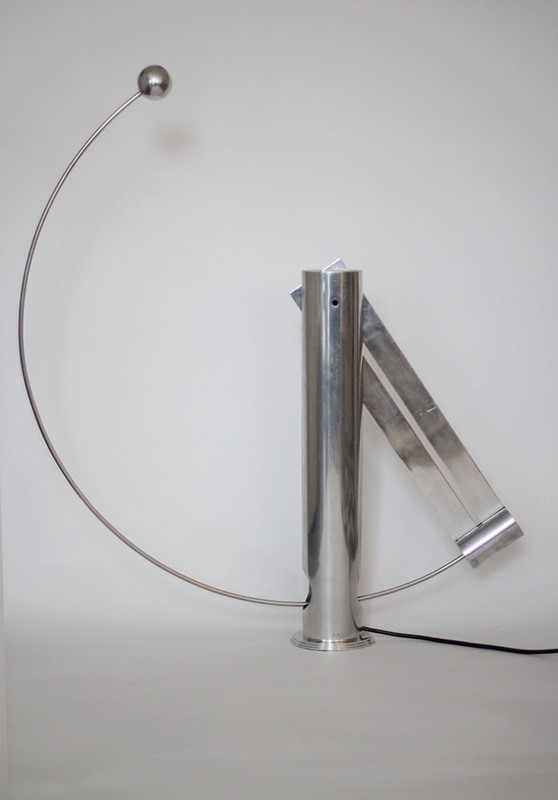 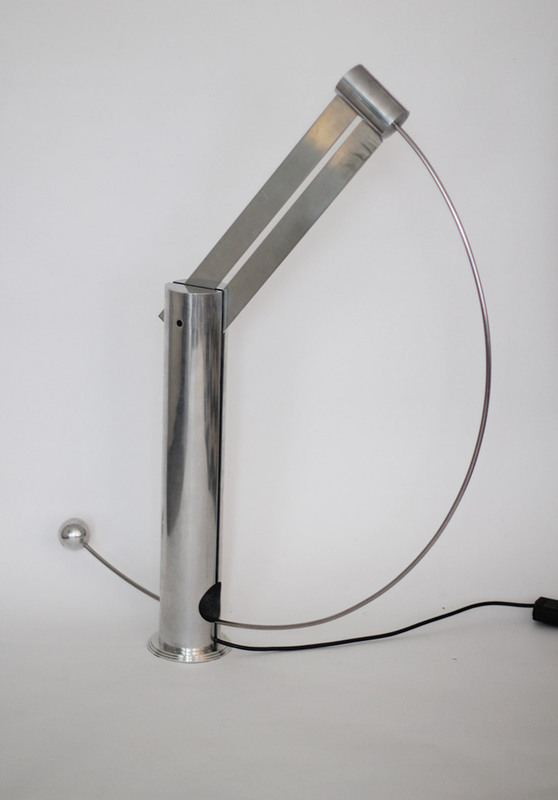 A rare and spectacular pendulum lamp, model “Paradoxe” by Pierre Lallemand. 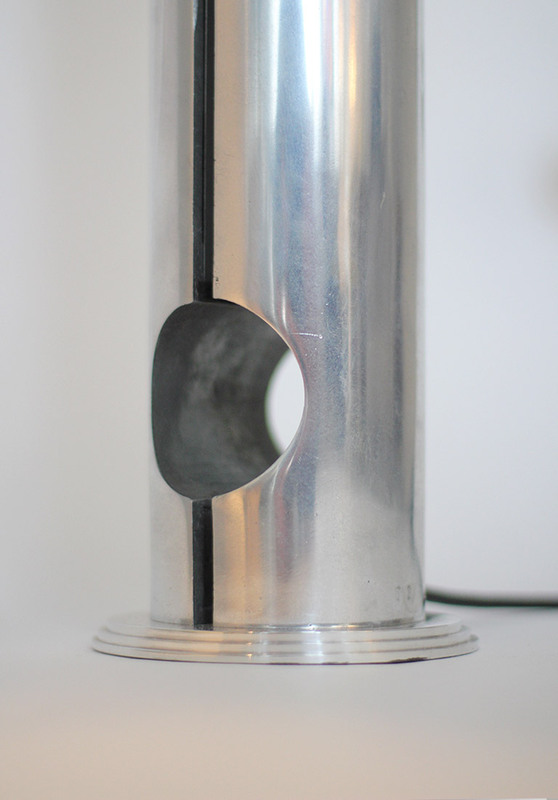 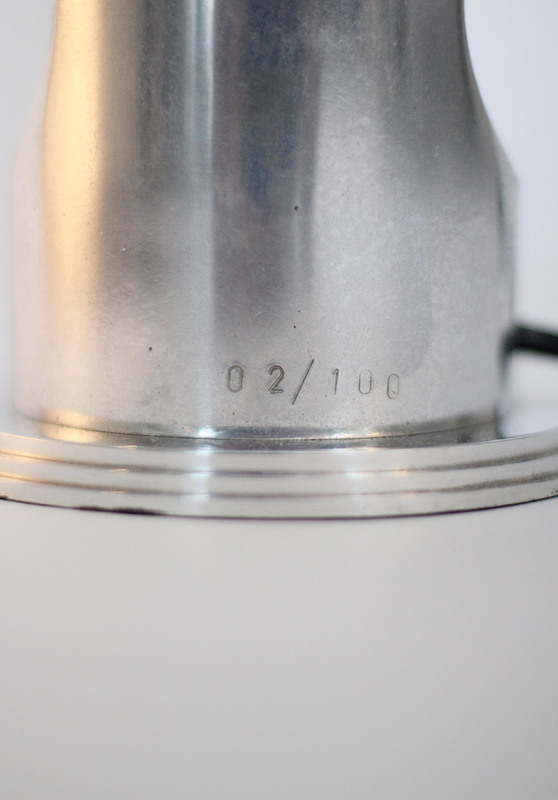 The cylindrical base is made of cast aluminum resting on an overflowing stepped base and is numbered 2/100. 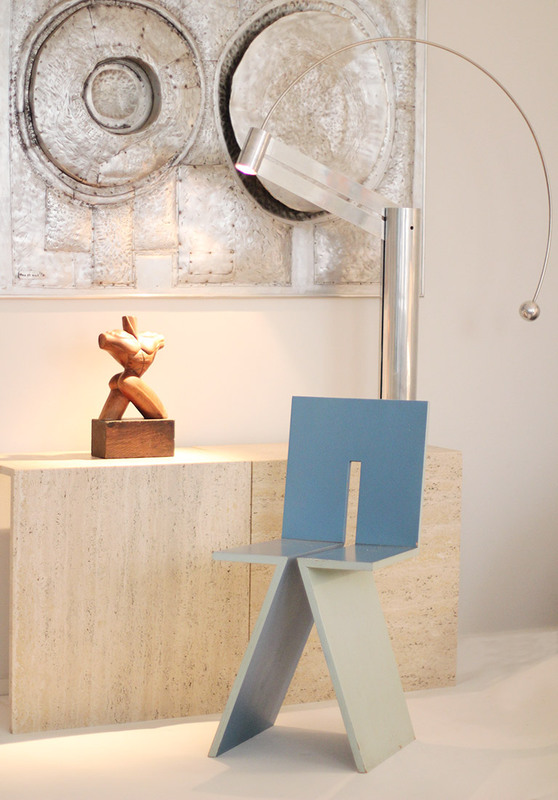 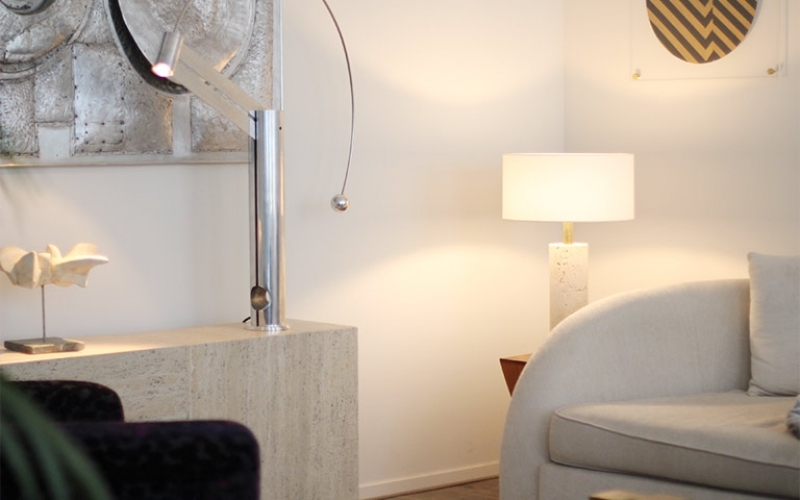 The moveable arm contains a cold beam light spot that can be dimmed and can be rotated 360 degrees. 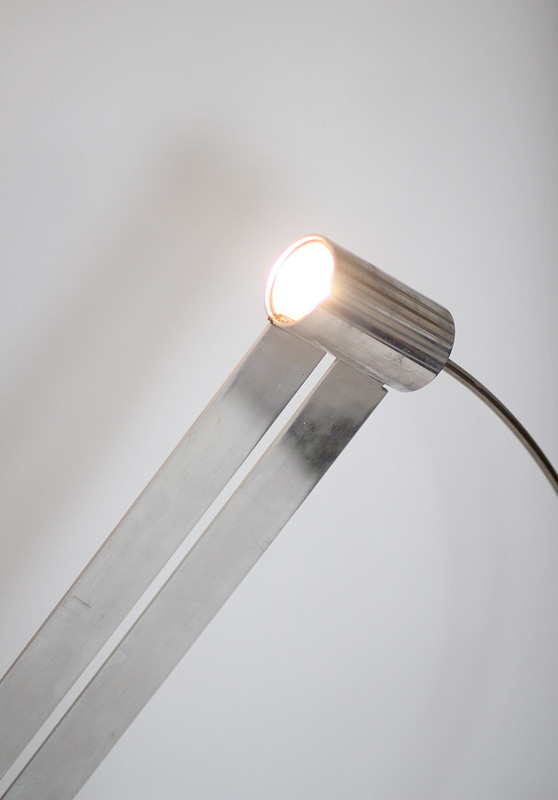 The ingenious design let the lamp glow without any wires.